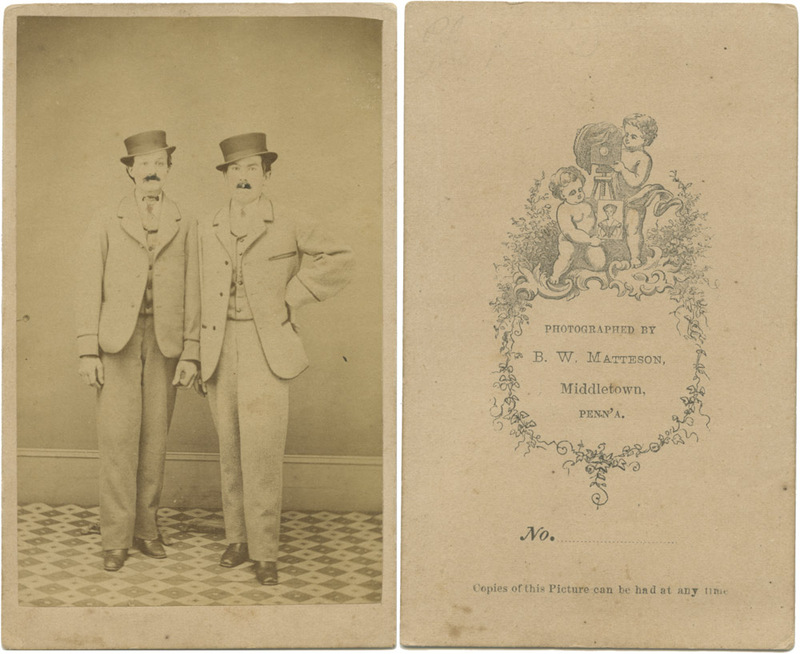 To take a break from the High Heel Race photos, here’s two new CDVs in the antique image collection. This pair of women in men’s clothes are rather unusual for the time period (1860s-early 1870s). Without knowing any back-story behind the photo, it’s hard to tell if this was just a couple of friends on a lark dressing up like lads (the mustaches were added by the photographer, much as hand-coloring or gilding of jewelry would have been done, for an additional fee) or if this was a comic way of expressing a deeper relationship between these two women. Without knowing, I’m filing this in my collection under the category of “Performers”, because it certainly is a performance of gender and gender identity, and it COULD be a theatrical, like the Ike Partington photo I posted earlier. I don’t know if there was a comedic play of the time period that called for women to play men’s parts. 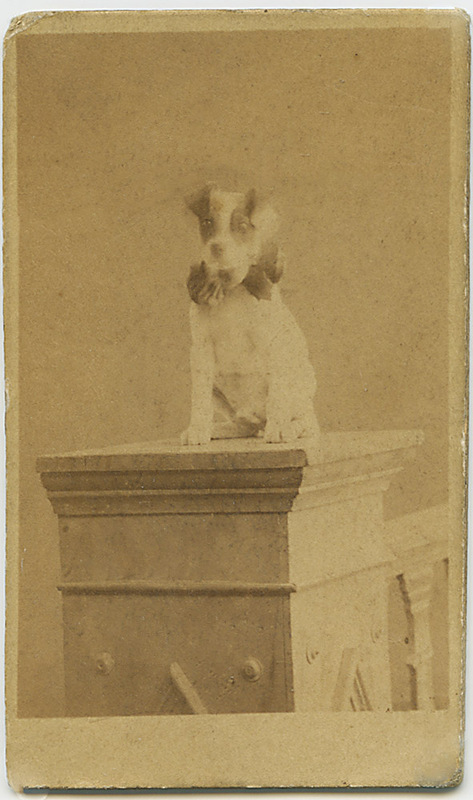 This is a CDV I bought from a vendor in Uruguay (on Ebay). These two photos kind-of go together in that the dog is wearing a ruff, so in some way he’s probably a circus performer. This is a heavily restored version of the CDV – the idiot seller shipped it basically in a plain envelope, with no protection, so it arrived with a MAJOR crack running across the CDV just above the dog’s head. I thought I’d at least preserve the image content and post it.